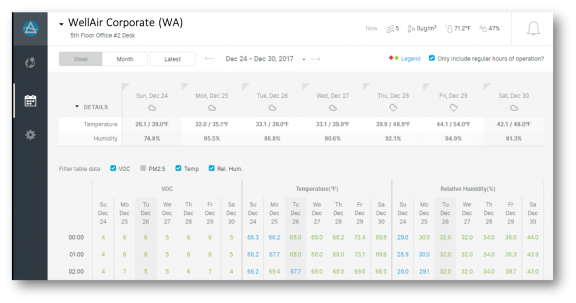 Monitor your indoor and outdoor air quality data with one easy-to-use, customizable web portal. 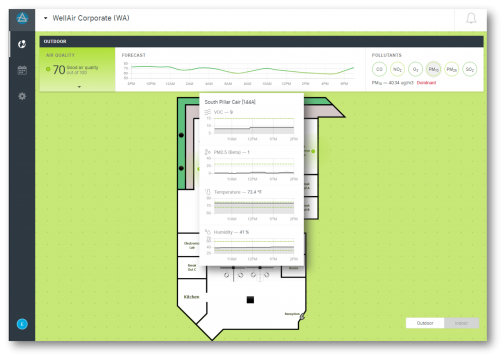 Indoor view shows building layout and sensor locations with detailed summaries. Outdoor view shows air quality in the immediate and surrounding areas. Forecast and outdoor pollutant levels always visible. Click on any sensor to drill down on air quality information. Easily view days or times when pollutants are elevated or out of your desired range. 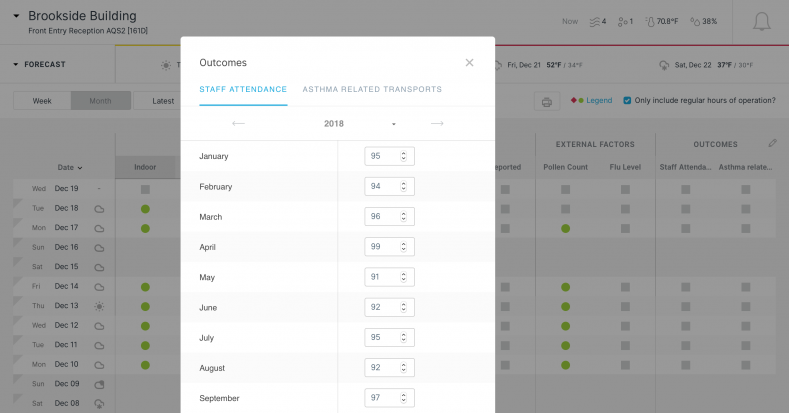 Customize the portal to cross reference key metrics with air quality data – attendance, asthma related transports, hospitalizations, flu cases, infection rates, indoor air-related complaints – the sky's the limit. Set your own rules for notifications when air quality measures are out of target range. Set pollutant, range, and duration. to share with your team and stakeholders.